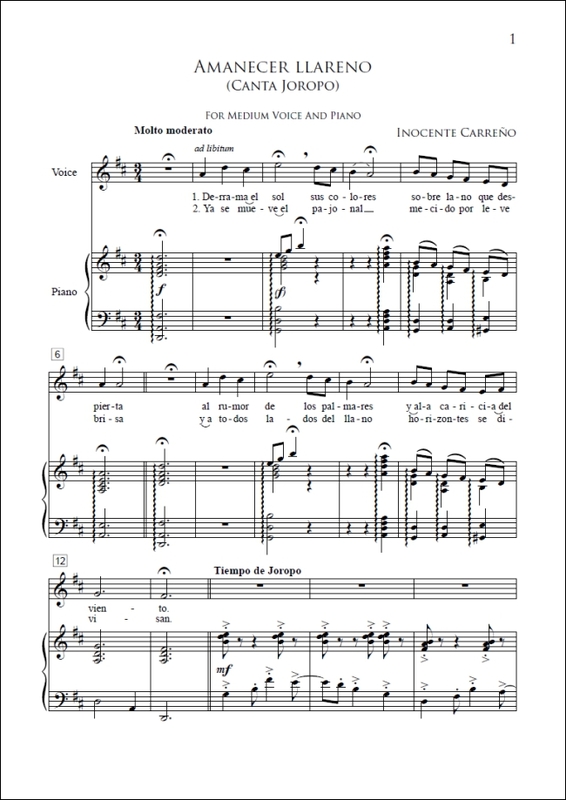 The Canciones of Venezuelan composer Inocente Carreño are a colorful, sensually appealing addition to the increasingly popular genre of Latin American art song. These selections represent a small percentage of over 200 songs written throughout his career from a catalogue of music that also includes works for orchestra, guitar, and various combinations of instrumental chamber music. 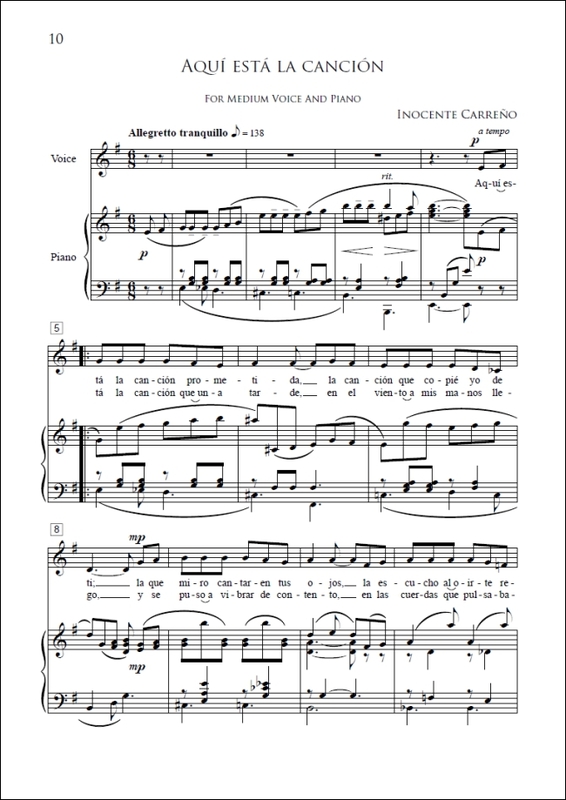 While utilizing a nationalistic flavor of dance and folk idiom, his compositional style is imbued with the understated echoes of Debussy and Massenet, woven with a distinct thread of a cosmopolitan, modernist influence. 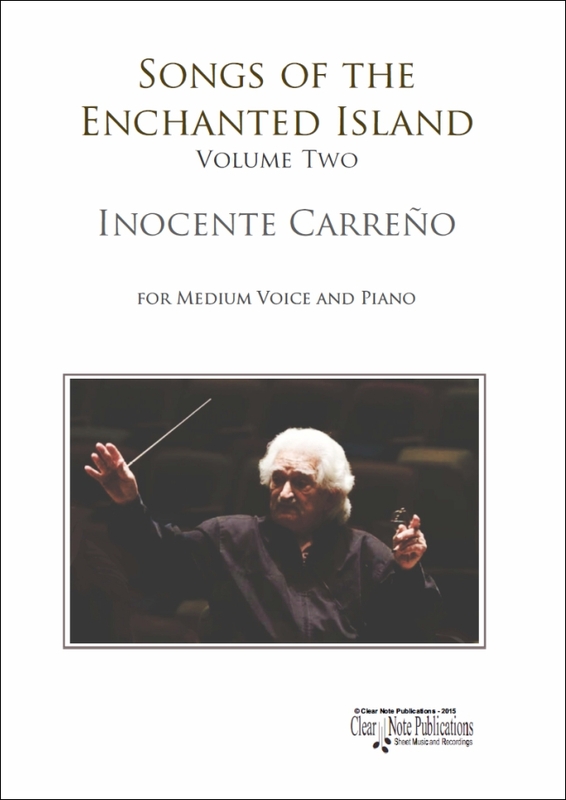 These twenty four songs in two volumes by Carreño include a variety of exotic flavors, using dance and folk idiom as well as echoes of both Impressionism and Modernism, to recreate the dreamy and compelling atmosphere of his birthplace on the Caribbean island of Margarita. A composer of remarkable duration and creativity, Carreño continues at the age of 95 to develop ideas almost daily, as in his own words, "Composing is a habit, just as feeling hungry, needing to breath or wanting to read. That's how I feel about composing." 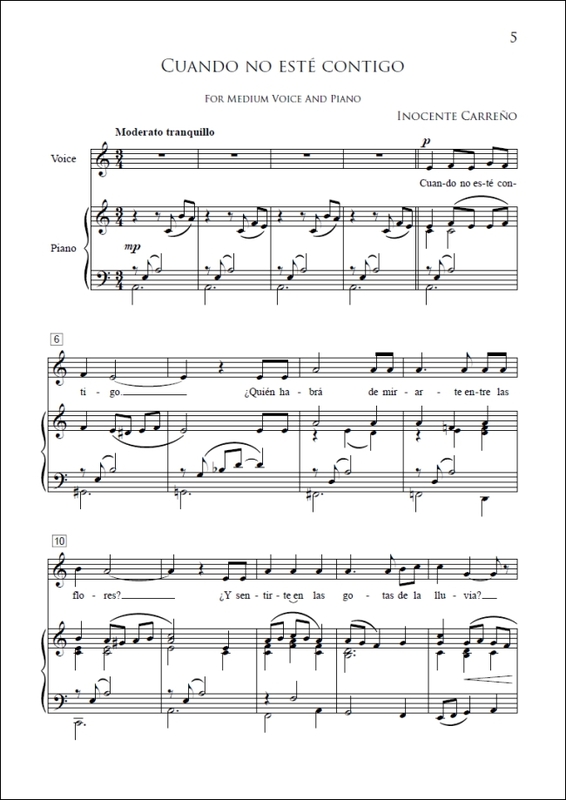 I am delighted to introduce these enchanting songs to a new generation of singers.